Bryan Martin unleashes Ravensworth pet-nat Tumbarumba gamay, due for a spring release. Photo: Chris Shanahan. The “weird stuff” tab on Ravensworth’s website opens the magic wardrobe into Canberra’s Narnia of weird, whacky and new wines. This new world belongs to Ravensworth winemaker Bryan Martin and a handful of Canberra winemakers who, like Martin, step nimbly back and forth through the wardrobe, between mainstream winemaking and the new and weird stuff on the edges. They’re all accomplished winemakers. And all but Sassafras Wines, which specialises in ancestral method bubblies, earn their living making and selling the traditional table wines we drink every day. The weird stuff, as Martin calls it, sits on the fringes, supported by Sydney and Melbourne sommeliers, a handful of local restaurants and independent retailers, fellow winemakers and adventurous drinkers. The weird wines come with their own language – including pet nat, ancestral method, orange wine, natural wine and ceramic egg – describing wine styles, production methods and equipment. After decades enjoying limpid Australian whites and bubblies, the new wines can be confronting. What are we to make, for example, of bronze or even orange coloured whites, or of cloudy sparkling wines? This new wave of bubblies – known as pet nats (from the French petillant naturel) or ancestral method – come to market very young and fresh, in the year of vintage, with various levels of cloudiness. The wines are cloudy as they are not disgorged or filtered following secondary fermentation. 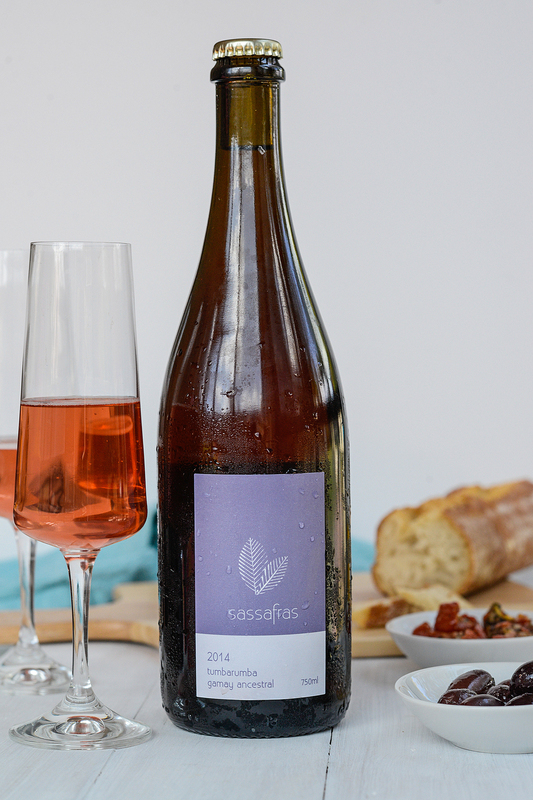 Paul Starr of Sassafras Wines, introduced the style to Canberra in 2014 with a delicious ancestral method sparkling rosé, made from Tumbarumba gamay grapes. His fondness for the style, he says, came from drinking the traditional gamay-based sparkling wines of France’s Bugey-Cedon region. 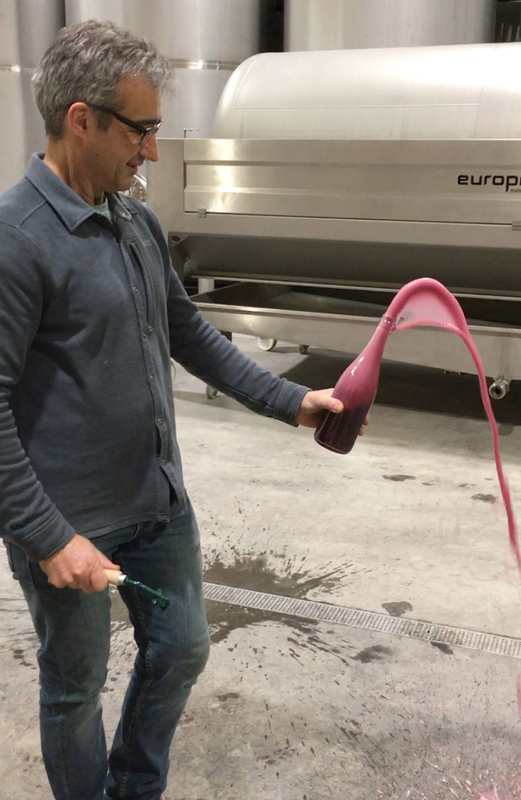 The 2014 gamay started with standard fermentation, allowing just enough skin contact to extract the pink colour. When the ferment approached completion, and only a small amount of residual grape sugar remained, Starr refrigerated the wine to knock the yeast out, partially clarified it, then bottled it. The yeasts stirred to action again, creating the bubbles and a very fine haze as they consumed most of the remaining sugar. Starr attributes at least part of his skill in this tricky and imprecise process to long experience brewing beer. 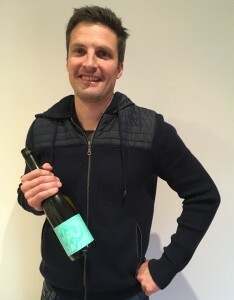 He followed the delicious 2014 gamay up in 2015 with Sassafras Savagnin Ancestral, using savagnin grapes from Quarry Hill vineyard, Murrumbateman – and couldn’t stop smiling when Copenhagen’s Noma Restaurant listed it during its tenure in Sydney. Starr says he’ll offer two ancestral method wines in 2016: a white, made from Canberra savagnin and Tumbarumba chardonnay, and a red montepulciano, from Ricca Terra Farms, Riverland. See sassafraswines.com.au for an expected spring release. Ravensworth’s Bryan Martin followed Sassafras down the pet-nat path, with a sparkling riesling in 2015. The wine sold out quickly, encouraging Martin to make red and white versions this year. He expects to release both in November, for around $30–$32. And this is where we meet Martin’s ceramic egg – a 675-litre fermentation and maturation vessel. Flowform, the Bryon Bay manufacturer, spruiks the advantages of its “passive convection”. But Martin and fellow Canberra winemaker, Hamish Young, dismiss that idea. Young says, “It’s like an oak barrel, without the wood flavour”. Like the oak barrel, the ceramic egg admits small amounts of air. This influences the flavour and texture of the wines in interesting and pleasant ways. Martin owns three eggs and uses them for several wines, including the loveably weird, Seven Months white blend and his pet-nat riesling 2016. The latter underwent a spontaneous fermentation in the egg before heading off to bottle for its secondary fermentation. At the winery, I tasted Ravensworth’s unfinished pet-nats – Canberra riesling 2016 and Tumbarumba gamay 2016. These are excellent, fresh, characterful wines and worth trying on release in October or November. The gamay revealed its full crimson glory as it exploded from the sample Martin opened (see picture). Another wine from the egg, Ravensworth Seven Months 2015 is reviewed below. Note, fermentation of whites on their skins is unusual in Australia but can be used to good effect. At Poachers Pantry’s Wily Trout, young Will Bruce took over the vineyards from his father a couple of years ago. His 2015 shiraz is sensational, in the traditional Canberra mould. But Bruce, too, owns a ceramic egg, and it hatched a supple, smooth, unfiltered pinot noir-shiraz blend from the 2016 vintage. It’ll be in the market when this is published, so watch for the full review. The first Wily Trout pet nat, a 2016 vintage blend of pinot noir and chardonnay is due for release at around $25 a bottle in spring. Perhaps weirdest of all, Bruce made a sauvignon blanc seeped and fermented with fresh hops flowers provided by brewer Richard Watkins. Expect to see this aromatic, intensely bitter hybrid on tap at the BentSpoke Brewery in the near future. Hamish Young released his new Mada Wines last week. Three of the four wines passed through the ceramic egg. The riesling in particular appealed, thanks largely to Young’s unconventional winemaking approach. See the review below. At Yarrh Wines, Murrumbateman, Neil McGregor tends the immaculate vineyards, while Fiona Wholohan makes the wines, including the two Mr Natural wines reviewed below – and the first components of a vin santo (Tuscan dessert wine) for release many years in the future. Bound to shock drinkers of traditional whites, Seven Months gets it deep golden colour, hazy appearance, very rich flavours, and grippy, chewy finish from fermentation and maturation on skins inside the ceramic egg. Ravensworth website is sold out but at the time of writing Plonk (Fyshwick Markets) and Ainslie Cellars carry stock. The blend is pinot gris, sauvignon, roussanne, riesling and chardonnay. The 2016 vintage remains in the egg for a few more month. With Australian riesling, makers generally focus on aromatics and delicacy by gently removing juice from skin, conducting cool ferments in stainless steel tanks. 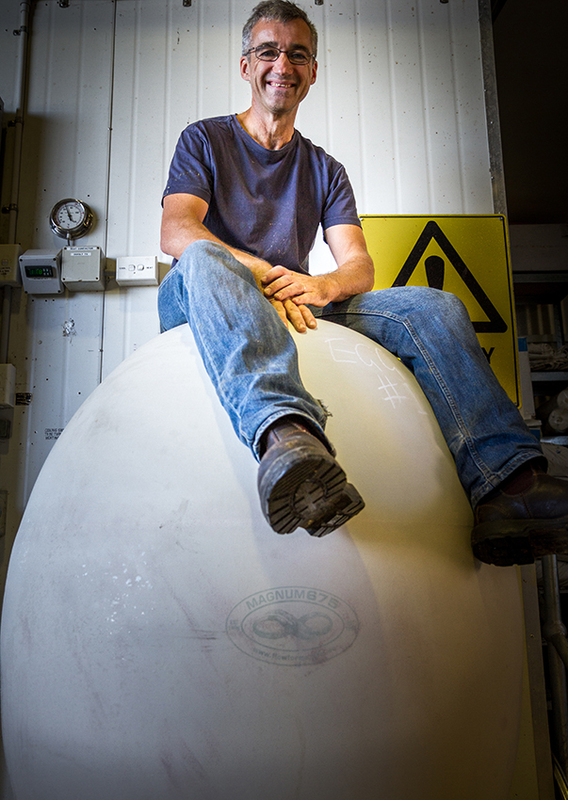 Winemaker Hamish Young allowed his to ferment spontaneously, on skins, inside the ceramic egg. Together, the air-permeability of the egg and skin contact made the difference between Mada and your conventional riesling. “I wanted the skins to enhance some characters but not make it weird and whacky. It had to be delicious”, he says. And it is. The not-quite-clear wine emphasises riesling’s citrus rather than floral characters on a richly textured, racy, dry palate. Winemaker Fiona Wholohan says years of work building up the soils in the vineyard paid off, delivering perfect fruit in the outstanding 2015 vintage. This allowed her to make a white with very few inputs. She crushed and de-stemmed the grapes to a fermenter and let nature take its course, without the addition of yeast, acid, or yeast nutrients. What a delicious result. The skin ferment means a much deeper colour than we see in most young sauvignons . But the intensely varietal, savoury aroma leads to a juicy, plush, chewy, lively and dry palate. Like its white sibling, Mr Natural Shiraz went through a spontaneous fermentation in stainless steel tanks with very little winemaker intervention – apart from the addition of sulphur dioxide at bottling. Bottled young and fresh, with no oak maturation, the medium-bodied red shows the lovely ripe-berry and spice character of Canberra shiraz in a soft, juicy drink-now style.